I love the way amaryllis flowers open in sequence; in this one, one flower fully open, one on its way, and two buds in different stages. 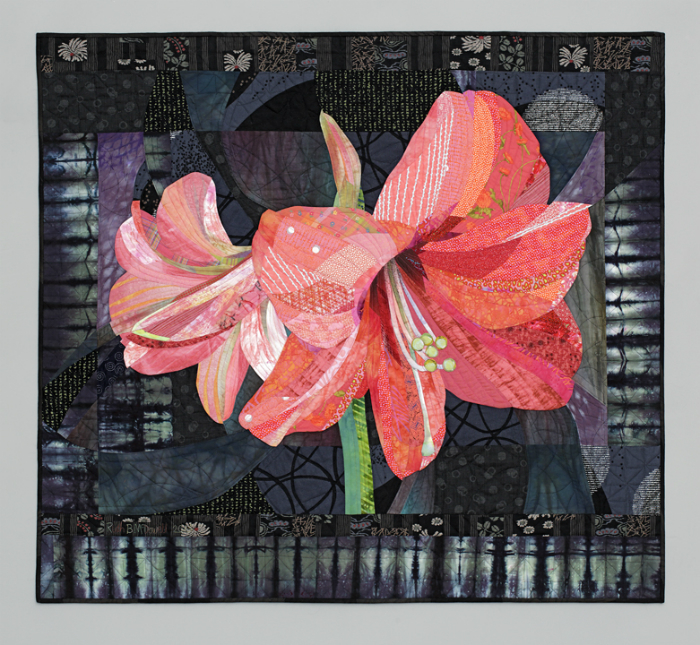 Several hand-dyed fabrics I have acquired over the years have been used in this quilt, along with commercially printed cottons from my collection. Some of these have been on my shelves for thirty years.